The discovery tour of the Zoicu canyon consists of descending the first part of the canyon. It is very playful descent with some slides but mainly jumps between 2 to 6m from pools to pools (of course not obligatory). 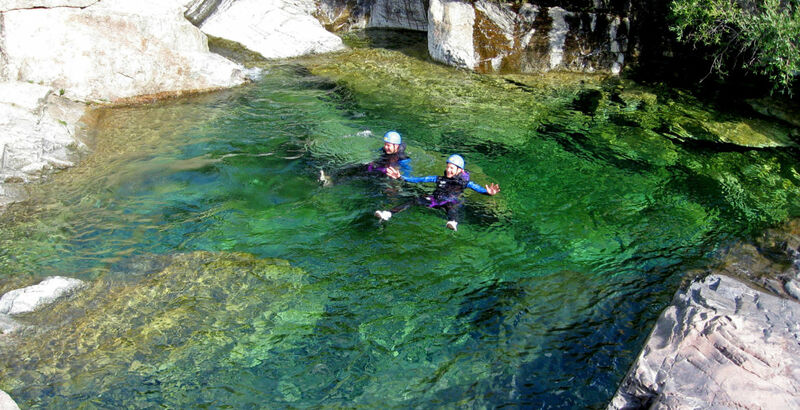 The tour will finish with rappelling initiation and zipline in a beautiful clear water river. Itinerary : Drive towards Vico. Continue on the D23 and then D123. Cross the Soccia village following Lavu a Crenu signs (creno lake), keep driving 10min after exiting the village, up the final car park located above the village.